I have some photos on a linux computer that I would like to add to a Shared iPhotos Album. So I thought I would log in to my icloud.com account and add them there. To my surprise, the shared albums are not even listed on my icloud.com account? Why not? How can I add photos to my shared iPhoto album with a non Apple computer? UPDATE: My Mac doesn't even show the Shared Albums, even though I use the same account as on my iOS devices. UPDATE3: Thank you @fsb it was indeed an iCloud setting: "iCloud Photo Sharing" that wasn't enabled. Shared albums are not available to view on iCloud.com. You can only create albums and add/delete photos in albums on a device and then share a link to them. You'd have to share your album and send yourself a link in order to see in online. You can add/delete photos from any shared album while on your Mac. After you do that, any subscribers to that album, Mac or PC, will be able to see the changes you made. Select the photos, video clips, and Live Photos that you want, then click Add. Subscribers to your shared album can play the video in the Live Photos. Select the items you want to remove, press Delete, then click Delete. Photos removes the items from the shared album, but leaves the original items in your library. Important: If you delete photos or videos that others added to the shared album, you won’t have copies of them in your library. If you want to keep these items, download them from the shared album before deleting them. I don't have "Shared" in the sidebar on my Mac running MacOS10.13.6 version. See update. You didn't mention your macOS version so I assumed it was the latest. Can you edit your question to add that info as well as the appropriate tag? If you go to the link in my answer, you can change the version dropdown to High Sierra. It has the same instruction for High Sierra: "In the Photos app on your Mac, click a shared album under Shared in the sidebar." Are you signed-in to iCloud on this Mac? 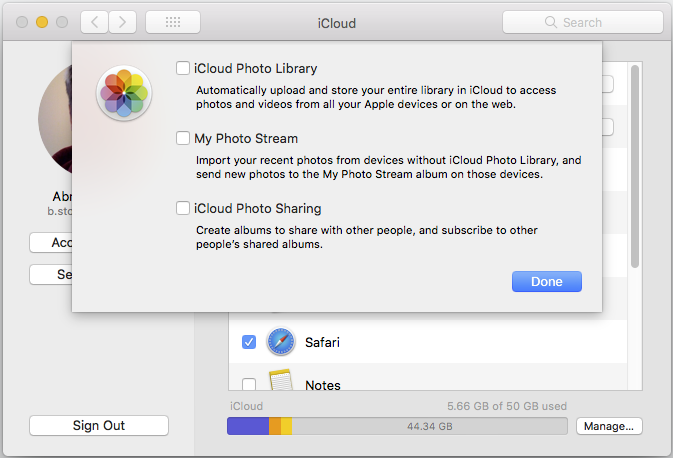 If so, is iCloud Photo Sharing enabled in System Preferences (& Photos Preference, I think)? Is your Photos Library setup as your System Photos Library? This was all a bit complicated in High Sierra, unfortunately. See this link for guidance. [SOLVED] What happens to shared photos when i delete them locally? [SOLVED] Can I view shared photo albums on the icould.com web interface? in iPhoto, how to locate photos NOT in a particular photo stream? [SOLVED] How can I store edited pictures with iPhoto for iPhone?